It’s been fun using all the new and unusual produce in our weekly CSA tote. 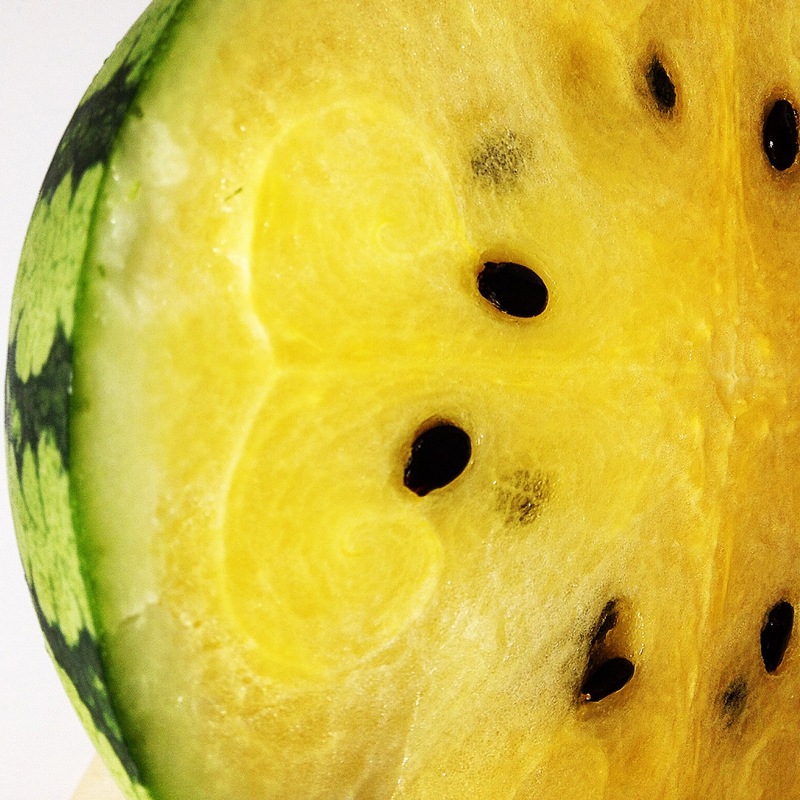 If you close your eyes, our yellow watermelon tastes just as sweet as the pink kind. What an amazing thing fruit is! A beautiful photo! The varieties and colors just amaze me! I often wonder about the connection between sight and taste. Yellow and green tomatoes never taste as ripe to me as red, and I think watermelon might be the same. I did not know there was pineapple-colored watermelon! This yellow color was new to me, too, Bonny, but the flavor is spot on!